Many words have been written already about the passing of Nelson Mandela, and even though most of us never met the great man, it’s fair to say we have all felt a sadness at the death of a genuinely revered human being. In a sporting context, Mandela’s seminal moment – one which epitomised his incredible powers of forgiveness in the pursuit of reconciliation – occurred at the 1995 Rugby World Cup, when he donned a Springbok jersey and embraced his winning white captain, Francois Pienaar. “One team, one country” was the theme for a tournament, and a game traditionally only really popular among the minority Afrikaner community. That day, South Africa’s black majority cheered the victory as loudly as the whites, even though the Springbok emblem had become a hated symbol of white supremacy during the apartheid years. That was the power of Mandela. Thanks to the movie “Invictus” those events became famous around the world, with the Hollywood glamour of Morgan Freeman and Matt Damon ensuring global popularity. 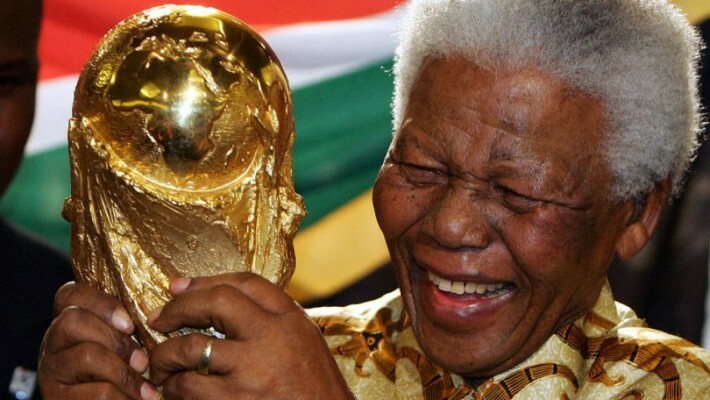 Yet little is known of the role football played in Mandela’s attempts to unify his nation, nor of his influence on the next sporting tournament to be played in South Africa – the African Cup of Nations, just a year later in 1996. South Africa also won that tournament, and, just like twelve months previously, Mandela – replete in “Bafana Bafana” jersey – was on hand to present the trophy to his white captain, Neil Tovey, who, in turn, was nicknamed “Codesa,” shorthand for “diplomacy” after the Council for a Democratic South Africa. 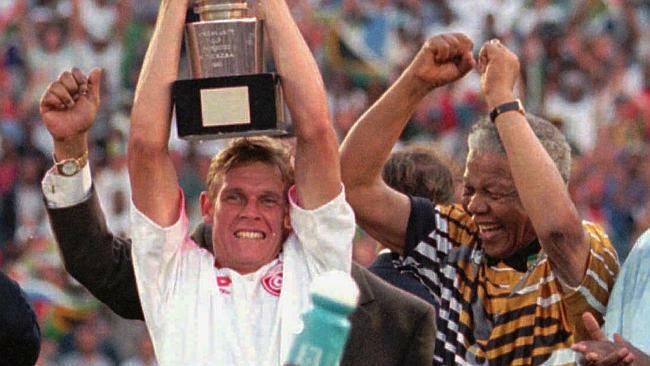 An iconic moment as Neil Tovey hoists the African Nations Cup trophy in 1996. But by the final, that had all changed. As South Africa prepared to face Tunisia, the white community suddenly got on board, with all available tickets sold out in just a few hours. 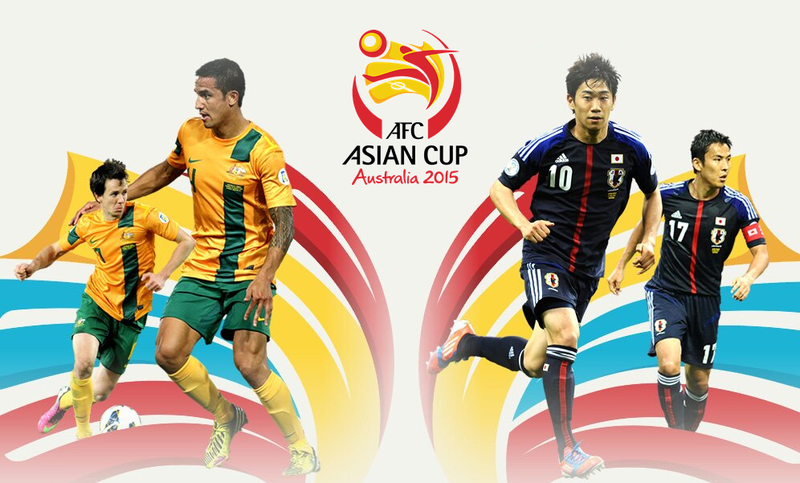 Years later, Nelson Mandela played a pivotal role in bringing the World Cup to South Africa in 2010. His last public appearance was before the World Cup Final in Soweto. He knew the value of the world game, perhaps remembering how his fellow inmates on Robben Island had organised a league (the “Makana League”) to play in, to maintain their sanity during their long incarceration – a league that lasted almost 20 years, with strict adherence to FIFA rules. 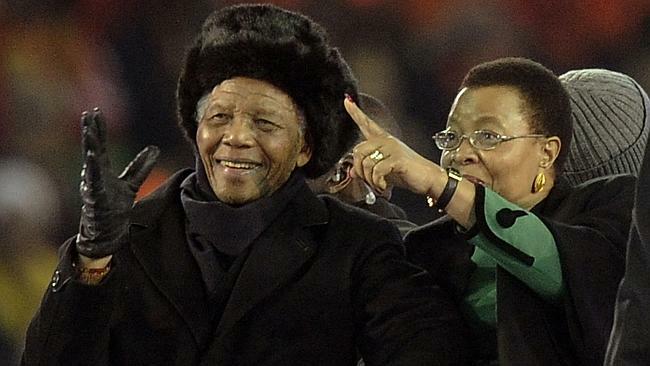 Mandela at his last public appearance, the 2010 FIFA World Cup final.